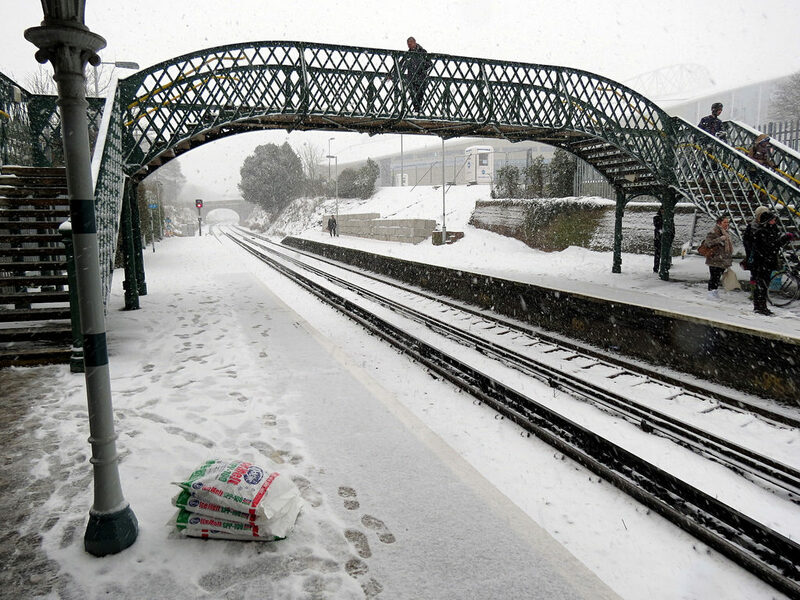 The recent cold weather and news of rail disruption has got the Sussex TEL Team thinking how technology and our online study platform Canvas in particular can help to minimise the impact of weather on teaching and learning. Using Canvas and taking tips from distance and flipped-learning practices it is possible to introduce online elements to reduce the time lost as a result of these events when they do occur. 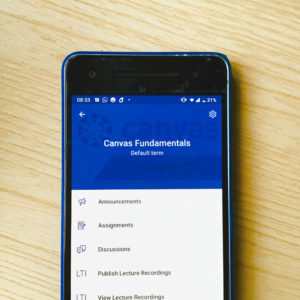 Canvas brings with it a range of new communication tools that can help you to facilitate learning online when you can’t be face-to-face. Here are five tools and practices which can help to prepare you and your students for the unforeseen. Unfortunately our rail service doesn’t always help us to get to work on time. While you are trapped on a rail platform, watching the clock tick down before a lecture it’s important to let people know. Canvas provides a new route to get the message out through Canvas Announcements. The Canvas Teacher App makes this process simple. Find the module in question, select ‘Announcements’, then the ‘+’ icon to add an announcement. Give it a title, type your message, send and the process is complete. See TEL’s Canvas Announcements guidance for more details. While trapped at home in bad weather, why not record a screencast of your lecture and share it with your students? Canvas enables you to record a talk to camera via the Record/Upload Media link in the Canvas Page editor. Often it is better to support your presentation with slides or other visuals and there are many different tools available to record your screen and voice together. You can record narrations for your slides directly in PowerPoint. Other simple options include Chrome browser extensions such as Loom or Screencastify. For Mac users with the latest Mojave OS, CMD+SHIFT+5 brings up a menu from which you can video capture your screen. You can then embed the resulting .mov file in Canvas. One step further would be to take a flipped approach. Creating online presentations and making them available in advance can help to free-up time in class to consolidate the learning through more hands-on activities. It also means you have a ready resource for students to access when you can’t be there. If a screencast takes too much away from the immediacy of the classroom, you could take the discussion online. Canvas Conferences (Big Blue Button) is an excellent option for conducting a virtual classroom activity or webinar with your students. We have been using this tool ourselves for our series of TEL webinars with very positive feedback. This tool provides a scalable option for you to present and talk through slides while taking questions through the Conferences text chat box. This Moderator Guide provides an overview of how Conferences works. You can find further information in the TEL Guide to Canvas Conferences. Disruption caused by weather can mean it is hard to get everyone together at the same time. In such a case, using a discussion forum can be a good alternative to Conferences. Running a discussion over a period of a day or a week, rather than an hour. If you haven’t run a discussion forum before, TEL’s Paolo Oprandi has some excellent tips on how to make online discussions work in your teaching. You can find out more in this TEL Guide to Discussions in Canvas. If all else fails Canvas still provides a place to share slides, handouts and reading with your students. 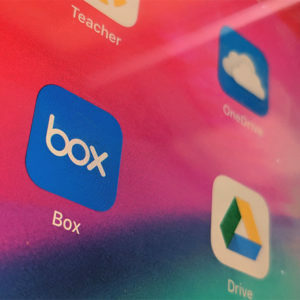 Also worth a mention, the University of Sussex’s box.com service provides another option for sharing files with your students. You can sync your files to multiple computers both at home and work as well as selecting files and folders to share with others. One neat feature is the option to host your videos on box.com. Upload a video to box.net and you can share it via a link from Canvas or via email. Please see the ITS guidance on box.com for more information. While it may not be possible to guard against all that the heavens (and local rail services) may throw at us, these tools give us at least the opportunity to be a bit more prepared.